Pitchfork Pete – The Home of My "Big Things"
Mills Fleet Farm Stores is a chain of general merchandise stores in the upper mid-West. While they have a broad range of products, of course their focus is on products that appeal to small town, rural farmer-types. In Albert Leas,Minnesota (pop. 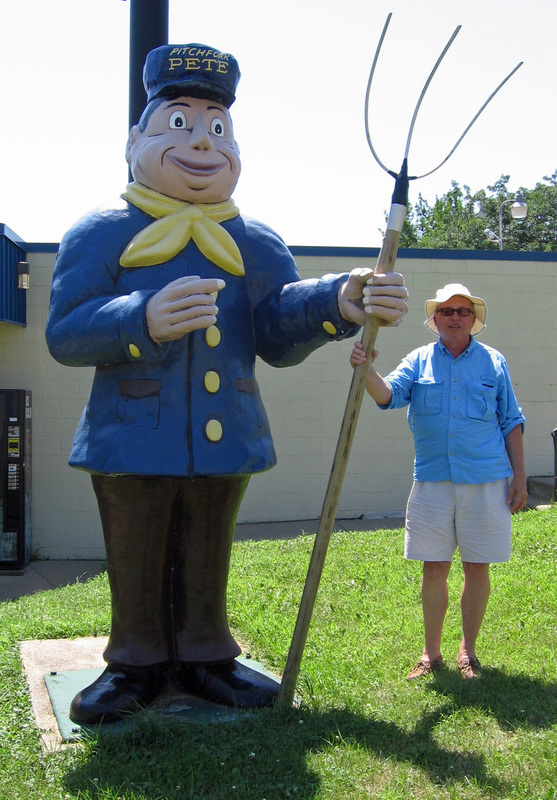 18,356) the Mills Farm Fleet store has this guy standing out front. Locally they call him Pitchfork Pete. He looks happy enough.